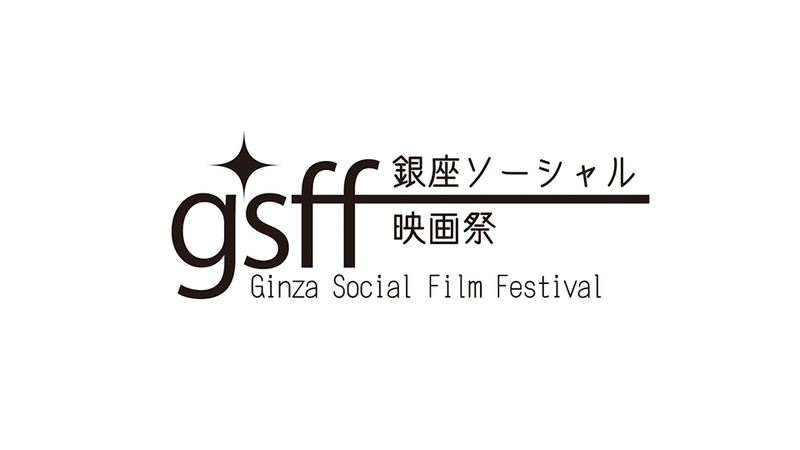 The 16th part of the Ginza×CSR series introduces the Ginza Social Film Festival centered in Ginza in which social-themed documentaries are shown and the audience participates in discussions. We spoke with Osamu Nishimura, Hiromasa Kataoka and Yoshiko Takahashi from Chuetsu Pulp & Paper Co. who are the main organizers of the film festival as well as staff from partner companies and volunteer staff. Creating opportunities for developing social-mindedness. ─ What type of event is the Ginza Social Film Festival? Since 2013, we have been showing documentaries in Ginza like Mottainai! (English title: “Taste the Waste”) dealing with the food waste problem, Kazu-chan to Ore (= “Kazu and I”) that focuses on the issue of nursing care, Happy – Shiawase wo Sagasu Anata e (English title: “Happy”) that considers the concept of true happiness and others that have a social message. After the film, we have a talk session with an invited guest speaker and a social with food and drinks. We started the project as a way to spread knowledge about CSR among employees at our company, but now we have extremely talented partners working with us from outside the company. I work for a corporate consulting firm that focuses on CSR, and I always sensed the need for consumer education to teach many people, not just companies, about social issues. I also joined this project thinking that I could utilize my expertise in recruiting participants and running events that I developed in our company’s business seminars. I work in film-making as part of my job, so I started volunteering thinking my knowledge on independent films might come in handy. That, and it is very exciting to see the audience enjoying themselves. Hiromasa Kataoka of Chuetsu Pulp & Paper Co.
Yukari Watanabe of Cetus & General Press, Inc.
─ Movies are perfect for eliciting realizations on social issues. The films are 90 minutes in length, so it is easy for anyone to join. The video, music and script are richly expressive and have a passive lightheartedness to them. There are no correct answers, so they are good for having each viewer think more deeply about the topics. Books can only be read alone, but films can be shared by many people at the same time. At movie theaters, when a movie finishes, you only talk about it with the person you came with, and if you come alone, you can’t talk about it at all, so you cannot digest it. At the Ginza Social Film Festival, you can exchange opinions or discover different ideas from your own through the film with many people you have just met. I think the real value of this film festival is not in simply showing the film, but in creating an opportunity for the viewers to talk with one another and develop their social mindedness. Yoshiko Takahashi of Chuetsu Pulp & Paper Co.
Osamu Nishimura of Chuetsu Pulp & Paper Co.
─ You are also developing collaborations with Ginza companies. We have used Hotel Monterey Ginza, the Coworking Space beez power provider café and other places to show our films. For the next time in August that will be the 9th time, we are borrowing Bunshodo for the festival. For the 10th time that is scheduled for October and is deserving of special recognition, we are being allowed to hold it in Ginza Mitsukoshi. I am hoping that companies in Ginza will consider the Ginza Social Film Festival a platform for improving society from Ginza and will incorporate it as part of their CSR activities. Having employees participate may help proliferate ideas about CSR through the company. Other Chuetsu branches are all active in local contribution activities while the Ginza branch has been behind in such activities. I hope that the film festival will lead to local contribution efforts in Ginza. In addition to volunteering at the film festival, I also run events for students in the Tama area. To Tama area students, Ginza is an unfamiliar place. But when I told them we hold these kinds of film festivals, they got the impression that Ginza is a neighborhood full of wonderful adults. Through one project, people develop an interest in visiting the place they were previously uninterested in. The festival helps brand Ginza to increase the number of future visitors. ─ How are you hoping to develop the film festival in the future? We have a dilemma in that it is difficult to get information about the film festivals to people other than highly socially conscious individuals. But the film festival is not rigid or formal at all, and has a very at home atmosphere. We would love for people to leisurely come out just as one way to enjoy a night in Ginza. It would also be great if the Ginza Social Film Festival gave rise to an Aoyama Social Film Festival, Daikanyama Social Film Festival and so on, with each neighborhood having their own film festival. We’ve recently been getting requests to tell people how we work the film showings. What we are doing will become a model case for combining showing of social films with dialogue among viewers as a set. If we can transmit that expertise, knowledge of social issues will spread throughout each region and the project will have major significance. For that aim, the important thing is, first of all, to just keep on going. Even if only about 40 people come out for each showing, at 10 times a year, the message will reach as many as 400 people. If those people then tell it to their friends, the social impact will spread even further. Then some people will change their consumption actions or consciousness in daily living and some may start taking steps towards resolving social issues. I think that is where the value in our film festival lies. Yuriho Nakano of Ohkawa Printing Co.
Organizers: Chuetsu Pulp & Paper Co.
Meeting for showing highly socially relevant documentaries that has been held since 2013. Chuetsu Pulp & Paper Co. is the organizer and cosponsors are Cetus & General Press Inc. and Alterna. The film festival began with an idea from Nishimura of Chuetsu Pulp & Paper Co., and was achieved with cooperation from Rie Kuroi, then working at Cetus & General Press Inc. (currently a representative of DKdo). Emi Ninagawa of Fancl Corporation, Hiroko Shigematsu of Maruhan Corporation and others soon joined as volunteers. Although Rie Kuroi is no longer involved, many volunteers are cooperating on the highly socially relevant project that gives rise to collaborations between companies in Ginza and is very important as a platform for speaking about social issues.